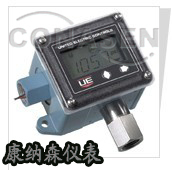 ONE series UE electronic pressure switch - Beijing Conasen Tech. Co., Ltd.
operator that the One Series will perform when called upon. control circuits or as a discrete input to a process computer (DCS or PLC). Series to be powered by an AC source and switch AC or DC loads. The switch output modes may be confi gured by the user in the fi eld without rewiring. trending of the process variable. this rugged design will stand up to your most demanding applications. ?Patented I Am Working (IAW? Please call Kangna Sen free customer service hotline 4006005217 for details!